Topaz Electric Insulated throat straight top-bite connector of trade size 4-inches, is suitable for use with 4-Inch knockout, Flex, AC and MC cables. 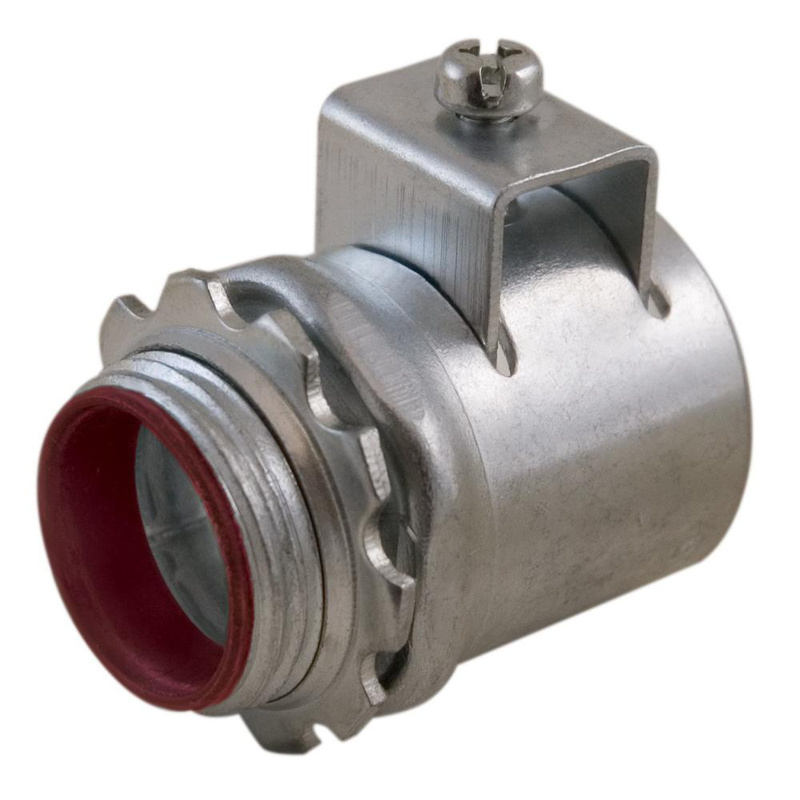 This connector features steel construction and zinc-plated finish. It measures 3-Inch x 5.813-Inch. Connector with saddle clamp connection, has thread length of 1.03-inches. It features dual gripping saddle clamps that ride up and down on screw for ease of installation. Connector with 3/4-Inch knockout, has tri-combo head screw. Top-bite connector is cULus listed.